Limit 5 per order / address at Special Sale Price. Measures approximately 3.5 inches. Part of the World Series of Knights by Papo. The art work and detail are beautiful on this hand painted figure. Compatible with the series of Knights by Papo and other popular Knights (e.g. 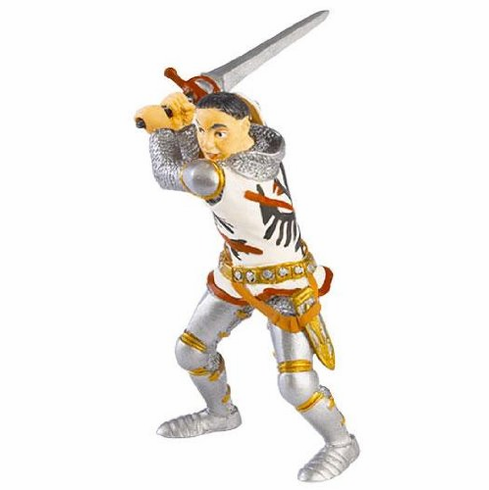 Schleich) these Fantasy figures take the imagination to the next level. Approximately 1:20 scale, ranging in size from about 3 inches (H) for the foot soldiers to 5.5 inches (L) for the horses.